She was nicknamed “The Violin Doc” in a book by Lisa Wong entitled “Scales to Scalpels, Doctors Who Practice the Healing Arts of Music and Medicine;” a talented professional viola player and a respected psychiatrist who uses her music to heal veterans, Dr. Mary Rorro is so much more and we are proud to present an exclusive interview with this bright star of the medical field who is finding many ways to help her patients. 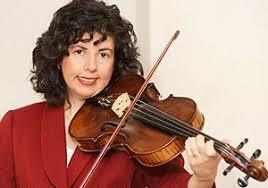 Dr. Mary Rorro: When I was six and a half years old, my mother showed me her little violin that she used to play as a child. I cherished that violin and toted it around in its diminutive case. My mother, my talented brother Michael and I used to play together to Suzuki records, and listened to Italian arias and Neapolitan songs with my grandparents. The first time I witnessed the power of music was as my grandfather was dying in his hospital bed. I played Toselli’s Serenade for him, a favorite song he frequently requested. His last words were “More music.” As a candy striper in high school, my mother encouraged me to entertain the ill patients under my charge. 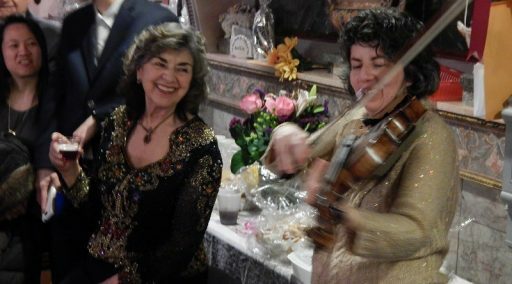 She witnessed as I played for a depressed cancer patient who had not spoken for months, who suddenly began to sing along with my violin to Christmas carols, bringing the nurses to tears. That inspiring moment influenced me to combine my desire to be a physician and blend music into my profession. We recognized the healing power of music to those suffering that day. My mother was so proud. I wanted to make her happy by sharing music with others, who needed it in the most essential way. I majored in music and minored in biology at Bryn Mawr College and received the first Performing Arts Prize ever awarded at the college. Bryn Mawr encouraged leadership opportunities for women and service to others. I organized two benefit concerts for St. Christopher’s Hospital for children with AIDS, as President and first violist of the Bryn Mawr–Haverford College Symphony. I developed a program in medical school and psychiatry residency called “Musical Rounds: The Next Best Thing to Grand Rounds,” and “From Soup to Notes,” to perform for people in soup kitchens. Tiziano T. Dossena: Besides your practice, you also created a program of volunteers with a similar goal, “A Few Good Notes.” Could you tell us about it? 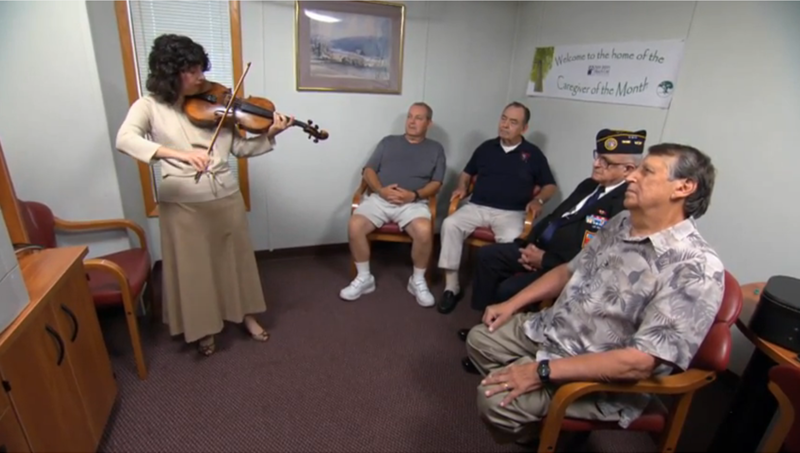 Dr. Mary Rorro: Given the enthusiastic response from my previous musical experiences, I wanted to introduce music into the lives of the veterans at my clinic and the New Jersey VA Healthcare System. I started a program called “A Few Good Notes,” in which I play viola for the patients in the group therapy sessions and individually in my office. Some of my patients used to play instruments, and hearing me encouraged them to resume their musical instruments and join me in the program. 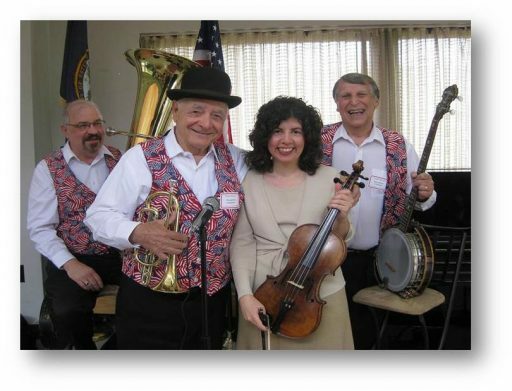 One of my patients brought his Dixieland band in to entertain nursing home patients with me in the Lyons VA. The quiet room was instantly transformed with the sound of patients singing along to the upbeat rhythms. Another patient, after hearing me play Amazing Grace in the office, was inspired to pick up his guitar again and also start reading the Bible, after he contemplated the words in the song. 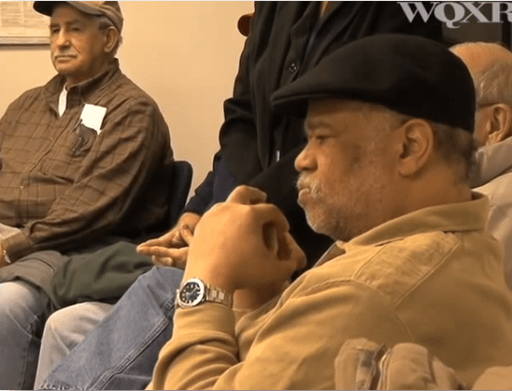 I initiated a program at the VA that provides free guitar lessons for veterans, which enables them to experience the joy of music first hand. We have volunteer guitar instructors who give generously of their time and it allows for engagement with other veterans in the Guitar Instruction Group (GIG.) The clinic is now filled with the strumming sounds of vets on their instruments, and the waiting list for lessons is a long one. 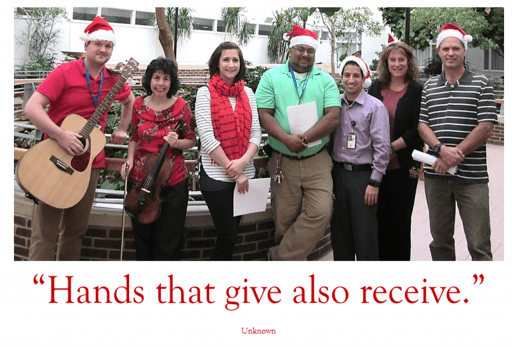 Every year, we carol in Lyons and East Orange hospitals and recruit other employees to share their time and talents with veterans. The program has been expanded nationally in the VA. Some patients and employees who are part of our Healing Arts committee bring their guitars and other instruments, and sing along to my viola. Music draws out stories from the patients, including one Vietnam vet who remembered his platoon sang Silent Night on a hill in Vietnam, causing a cease fire for that time on Christmas Eve. Music evokes powerful emotions and enables the therapists and me to process them with the patients in group therapy settings. The program has been featured on WQXR, the former classical music station of the New York Times, WNYC radio, the Dr. Oz website, the International Society for Traumatic Stress Studies and AOL’s Homepage for Heroes. 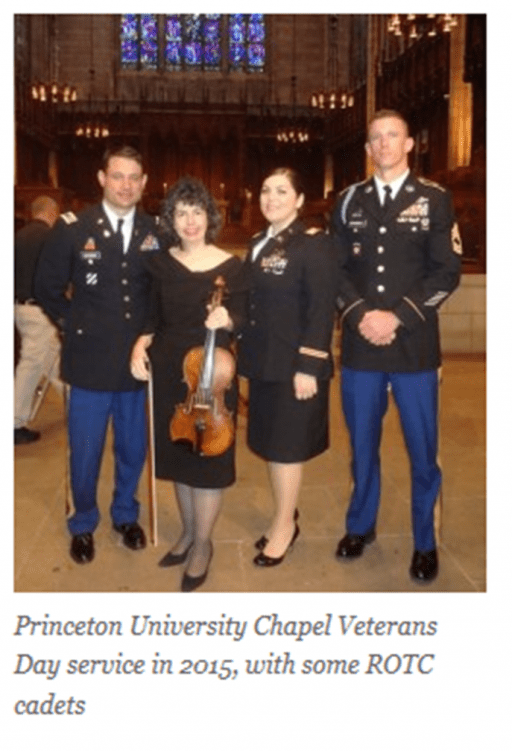 I was featured as “The Violin Doc,” in the book “Scales for Scalpels: Doctors Who Practice the Healing Arts of Music and Medicine,” by Lisa Wong, M.D. Tiziano T. Dossena: You clearly had a call for music and became a professional violist. When and how did the call for medicine, and in particular psychiatry, come about? Dr. Mary Rorro: When I was 4 years old, I was riding in the car with my mother, and she asked what I wanted to be when I grew up. I quickly responded, “A doctor, because I want to help people.” My parents always encouraged me in my dream, from which I never wavered. I was influenced by many members of my family, who were role models. I spent time in my father’s busy primary care practice, and observed grateful patients leaving his office. He went on house calls early in the morning for people who he knew couldn’t afford to pay, but was dedicated to helping them. My Aunt, Mary A. Rorro, M.D. was one of the trailblazing women physicians of her area. Her “Uncle Doc” graduated from Hahnemann Medical School and encouraged her to go there from a young age. Supreme Court Justice Samuel Alito’s father, Samuel Alito Sr., was her teacher in high school and he awarded her with the science medal. He knew she wanted to be a doctor and told her, “Never be discouraged from your dream.” She still has the report card envelope where he wrote other encouraging words about her future, since she valued them so much. She graduated from Hahnemann in 1958, and married my Uncle Al. He and my Uncle John also served the community as physicians. My Aunt Celeste received her Doctorate in Education and was Director of Teacher Certification and Academic Credentials in New Jersey. I became interested in psychiatry after a rotation at UMDNJ-SOM medical school at a New Jersey state hospital. Psychiatry seemed like a perfect way to blend narratives, creativity, and the arts into the medical profession. I entered a Harvard Medical School program for psychiatry residency and began working with veterans in the VA system as well as other mental health institutes in Boston, including McLean Hospital, Cambridge Hospital. Following residency, I completed a psychiatry Fellowship in Addiction Medicine at Massachusetts General Hospital. The years of tests and training, long nights on call, sleeping on scratchy sheets, were all worth it when someone says, “You changed my life.” I consider that to be a complement to my parents, because without their constant love and support, I would not be able to help my patients and hear those words. Tiziano T. Dossena: Your poetry is very poignant and inspirational, bringing images of war and tortured souls. Do you write only about veterans’ experiences? Dr. Mary Rorro: Veterans’ stories of trauma, grief, and loss inspired me to write poetry meant to help patients, and to honor them. Some poems reflect themes of posttraumatic stress disorder (PTSD), including intrusive memories, nightmares and flashbacks. Others relate to more specific trauma incidents and themes of moral injury and survivor guilt. The patients’ often poignant, sometimes frightening narratives were compelling. Poetry became a venue in which I could attempt to first process and then articulate the overwhelming emotions they experience. I began to share my poetry, in hopes of helping them connect and progress in treatment. The poems opened a new dialogue on aspects of their stories which they might not have touched upon during the standard medication management visit. I also write other poetry and haiku based on nature and spiritual themes, and compose songs and song lyrics. Tiziano T. Dossena: You have received innumerable awards both for your charitable and your professional work. Notwithstanding that they are all relevant and well deserved, is there one in particular that has meant more to you and why? Dr. Mary Rorro: There are a few that are especially meaningful. An award that had special meaning was from the American Foundation of Savoy Orders, a royal order in Italy. They bestowed the Saints Maurice and Lazarus Bronze medal for charitable works at St. Patrick’s Cathedral in New York City. It was incredibly exciting to walk up the steps of the main altar to receive the beautiful bronze medal and proclamation of Vittorio Emanuele. Performing at the Centennial Celebration mass of the Holy Rosary church in Washington D.C. with Supreme Court Justices Samuel A. Alito, Jr. and Antonin Scalia, and Nancy Pelosi, in attendance, was also a peak experience. It was an honor to be inducted into the Italian American National Hall of Fame, in the same year with Supreme Court Justice Samuel A. Alito, Jr. The Planetree organization’s Patient-Centered Excellence and Innovation Award (received by one of 10 individuals or programs internationally) for my “A Few Good Notes” program in Chicago, was significant for recognizing the importance of helping veterans through the arts. Tiziano T. Dossena: Your father was a doctor and your mother is an icon of the Italian American community in New Jersey. How did this influence you in your personal life and your professional choices? Dr. Mary Rorro: My late father, Dr. Louis Rorro, was a physician who was committed to helping patients in the community. My mother, Dr. Gilda Rorro, was an educator and administrator in the Department of Education, and worked in civil rights. She traveled to Haiti on numerous occasions to establish school exchange program with schools in Haiti and New Jersey. In the past 20 years, she worked tirelessly to serve Italian Americans in the community as Honorary Vice Consul work and as Chair of the New Jersey Italian Heritage Commission. She was knighted by the President of Italy for development of her curriculum to put Italian heritage into all schools in New Jersey. My parents instilled an appreciation of Italian language and culture, and we feel fortunate to have cherished family and friends in Italy. My wonderful husband Joseph also shares my love of Italian culture and music; we met at an Italian social club when I was a psychiatric resident in Boston. My parents’ productivity and engagement in their careers motivated me toward my profession and I was proud of what they accomplished. I was raised without limitations of what a girl or woman could achieve. No matter how busy my patients were, they were always actively engaged in my development, taking me to music lessons, concerts, and trips to Europe, to broaden my education. They were tremendous mentors, who influenced my life and left a legacy of serving others, which I strive to continue. Their high school graduation gift was my viola, and one that truly keeps on giving. I am forever indebted to my parents for guiding me in my goal to becoming a doctor and grateful they helped make my dream a reality. They gave of themselves with genuine commitment to community, and to me. My parents’ love and devotion enabled me to be fulfilled as a physician and musician, and aspire to help some many others, to live by their example. Tiziano T. Dossena: Are there any new projects in the near future? 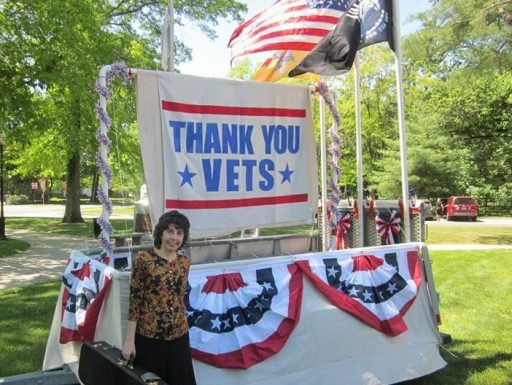 Dr. Mary Rorro: I consider serving our veterans a patriotic mission. They have taught me so much about sacrifice and resilience. Blending music and poetry into my practice is a privilege and serves as a rewarding and creative means of deepening the doctor–patient bond. I have witnessed the powerful effects the arts can hold for patients and hope to distribute my collection of vignettes and poems to more veterans. I plan to continue expanding the “A Few Good Notes” program so more patients become involved in music and the arts, as an invaluable tool to employ in their journey toward healing.